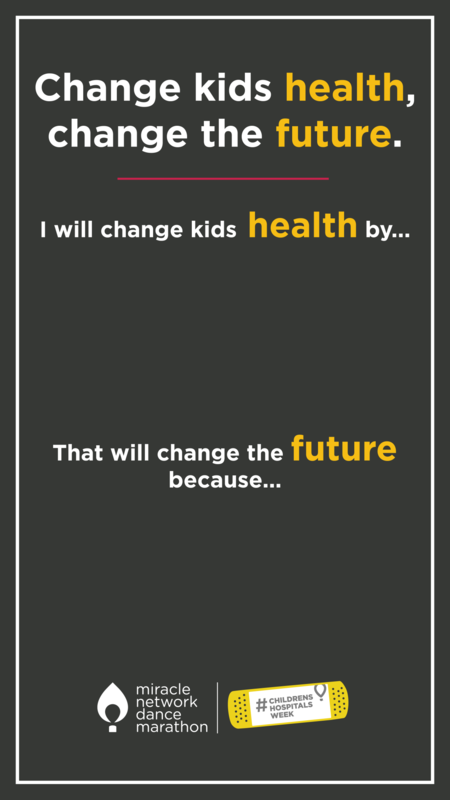 During the week of March 18-24, Children’s Miracle Network Hospitals and its partners will be celebrating #ChildrensHospitalsWeek—a week all about helping kids and ensuring children’s hospitals have the funds they need to care for more than 10 million kids a year. Government and insurance programs don’t begin to cover these costs; that’s why donations are vital to children’s hospitals. 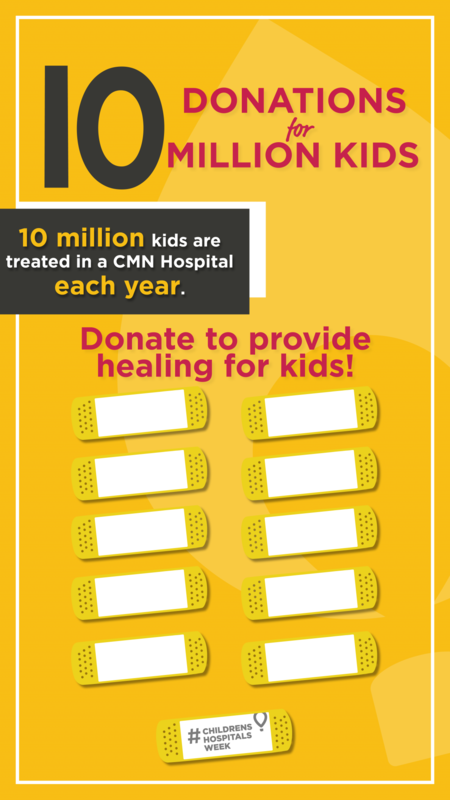 Bandages are a symbol of healing, and that’s exactly what we’re providing to kids in our communities through donations to children’s hospitals. During the week, supporters are encouraged to wear a bandage, take a photo and share on their social media channels with the #ChildrensHospitalsWeek hashtag to help raise awareness for our cause. Hoorah, #ChildrensHospitalsWeek is almost here! One of the easiest ways to show your support for children's hospitals March 18-24 is to share a photo on social media wearing a bandage with a child's name on it. We can't wait to see your bandage photos!⁣ ⁣ Learn more about Children's Hospitals Week at the link in our bio. How have you seen your program make an impact on your local children’s hospital through your fundraising? 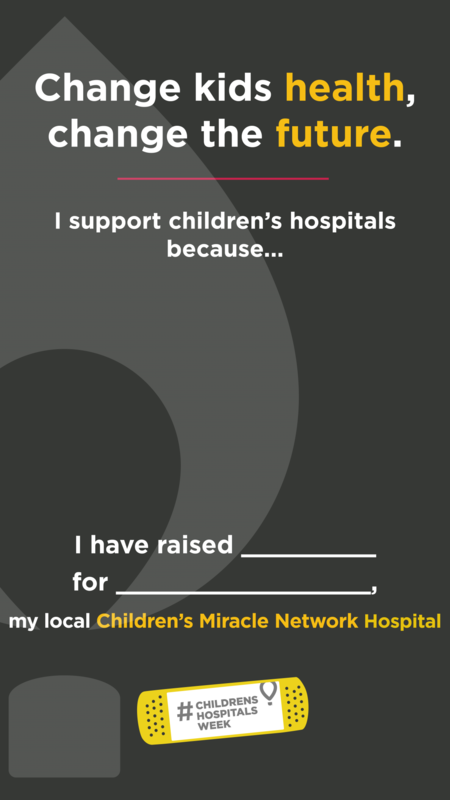 Why are you/your program committed to the cause of supporting children’s hospitals and why should others get involved? Why are donations important to children’s hospitals? Share a personal story about your connection to a local children’s hospital. The #ChildrensHospitalsWeek Facebook Live-athon will take place at 8:00pm ET on Wednesday, March 20 on the CMN Hospitals Facebook page. During the Live-athon, you will hear the stories of many of CMN Hospitals national Champions, witness how donations have made a difference at local children’s hospitals, and hear from CMN Hospitals’ partners and celebrity supporters. You can help promote the Live-athon and encourage others to tune-in by sharing the post below. Consider hosting a watch party with your Dance Marathon friends or committee members! Through the week of #ChildrensHospitalsWeek, individual students are encouraged to raise funds for their Dance Marathon program. Consider creating a challenge for yourself related to the cause. 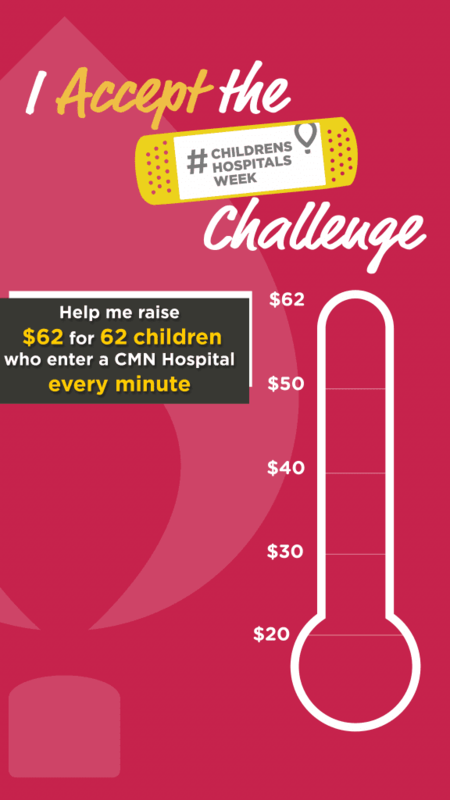 For example, you could set a goal to raise $62 in honor of the 62 children who enter local CMN Hospitals every minute. Or you could try to get 10 donations in honor of the 10 million kids who receive treatment at local CMN Hospitals every year. See below for some graphics that you can share on your Instagram stories to encourage your friends and family to donate to you!